It’s cherry season! Mamma falls in love with these little red treats every year after visiting the massive orchard out in Wandin. Cherryhill has a number of orchards over Victoria but it is at this eastie spot that U-pick is at its BEST! 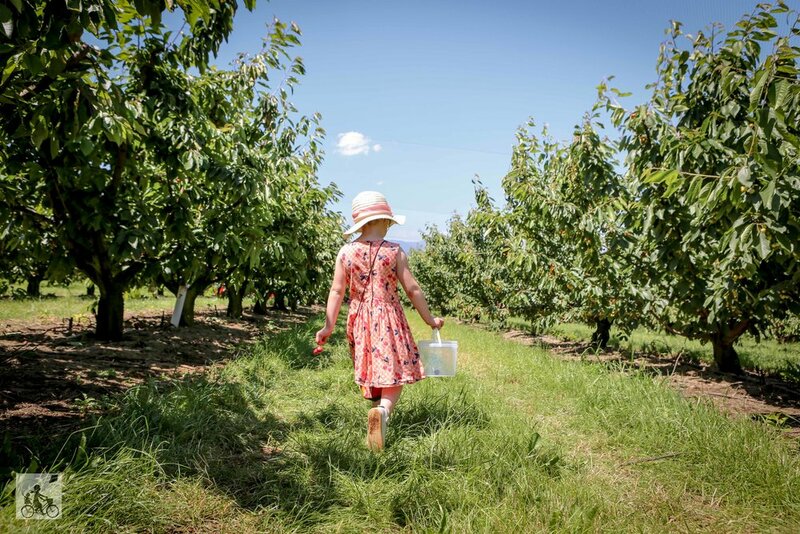 The cherry experts will show you - or drive by bus (and they will help with the prams) - to the best spots for picking on the day and are on hand to show you which are perfect for picking. The little ones will find picking the fruit easy to do, but you will need to show them how to spit out the pips OR grab a cherry chomper from the cafe. Best $15 spent, especially for the little tackers. Finding the best, darkest red cherries is super fun plus they make the best earrings. Purchasing a ticket gets you a whole day entry to the property with all-you-can-eat cherries from the trees, plus you get to fill a bucket which you pay for at the end of the day. You can pack a picnic and sit on the lawns overlooking the fields while you cool off with an ice-cream or a cherry cider or cocktail! There are lawn games, painting easels ($1.50 will get you 5 paints), face painting and food trucks. It is a brilliant summer day out. Just maybe remember to not dress the kids in white. This season there is also a moonlight cinema, screening Christmas movies every Friday night in December. The orchard opens especially at 7pm for an 8:30pm screening. Check out all the details here. Mamma's special mention: It can be beautiful walking through the trees on your picking adventure but be sure to pack the sunscreen and the hats for this time of year. We also were able to bring the pram - the team will show you a pram-friendly patch to work your way through and help load/unload onto the bus. click here for more great family experiences in the east!